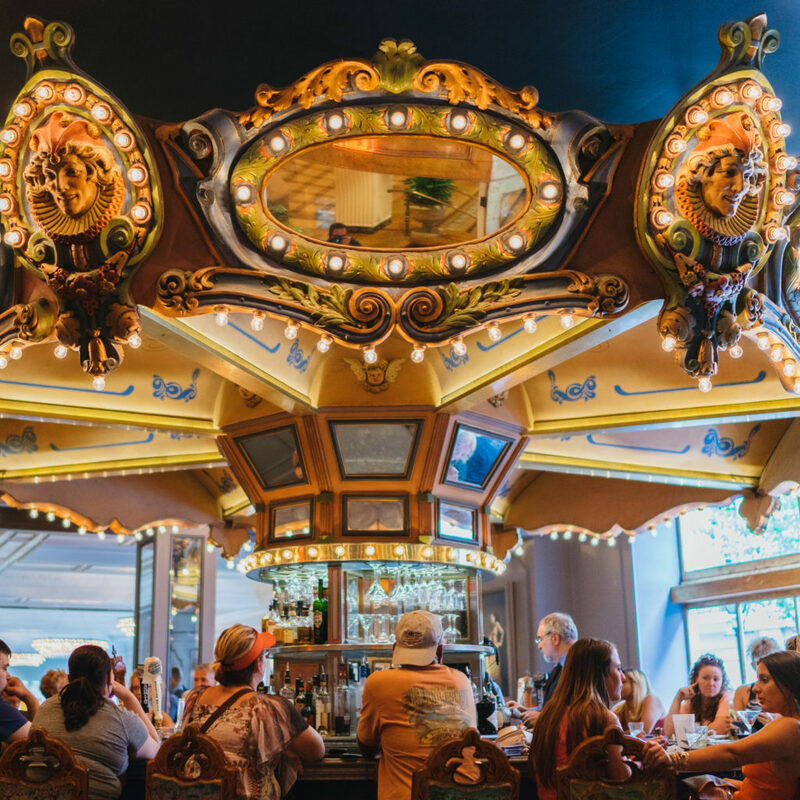 Our hotel bar, The Carousel Bar & Lounge, is commonly listed as one of the best bars in New Orleans. For those who have taken a spin or two around our legendary bar, you probably understand why it is a must-visit destination. But for those who have yet to experience our remarkable cocktails and bartenders, our fall cocktail menu might inspire a visit. While every one of our bartenders is extremely talented and personable, Marvin Allen might be the most well known. Anyone who has sat down at our bar while Marvin was serving knows what an amazing character he is. Marvin has concocted his own drinks, has hosted our Puppy Happy Hour multiple years in a row, and is generally a stand-up guy. 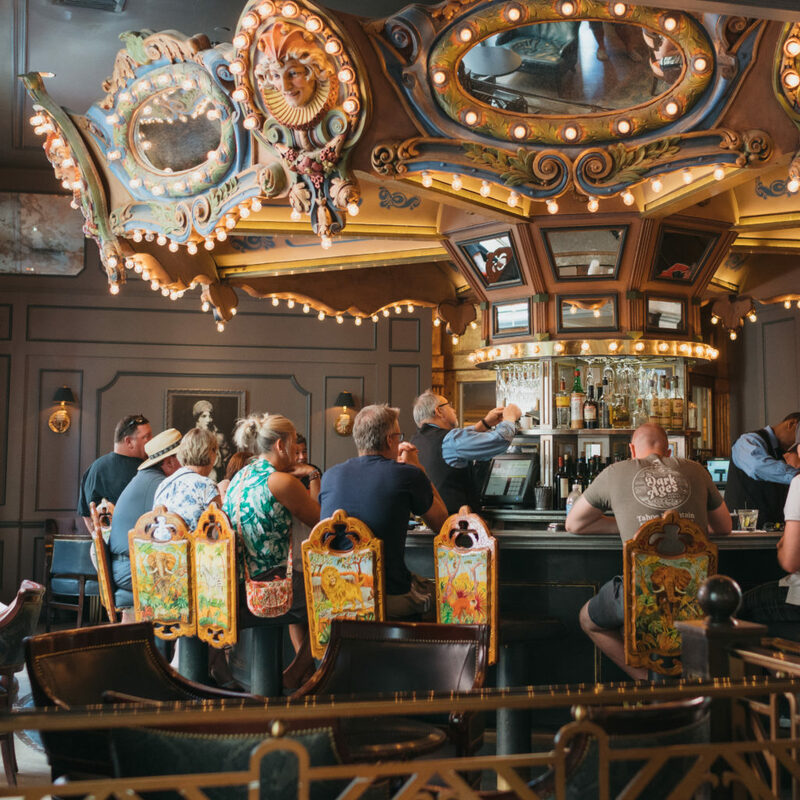 We believe that anyone who visits New Orleans should make a stop at the Carousel Bar, if only just to meet our beloved bartender. Hotel Monteleone’s Carousel Bar might be best known for our Vieux Carre, which was invented by Walter Bergeron in 1938. This amazing drink contains Bulleit Rye Whiskey, Hennessy, Sweet Vermouth, Benedictine, Angostura and Peychaud’s Bitters. The Vieux Carre is a spirit-forward cocktail, meaning that it’s heavy on alcohol content. Vermouth lends a sweetness to the typically dry rye whiskey base, and a hint of anise shines through due to the touch of aromatic bitters. The Pimm’s Cup is a great choice for those who love uplifting, refreshing drinks. Created at an Oyster Bar in London in the 1890s, this drink contains Pimm’s No. 1, Strawberry, Cucumber, Lemon Juice and Simple Syrup. We like to think that this drink gives you a day’s serving of fruits and veggies. Simple, bubbly and sweet, the French 007 is a classy drink for those who want a little extra bit of pizzaz in their drinks. Mathilide de Pear, Pomegranate Liquor, and Sparkling Wine come together to make an original, indulgent twist on the French 75. 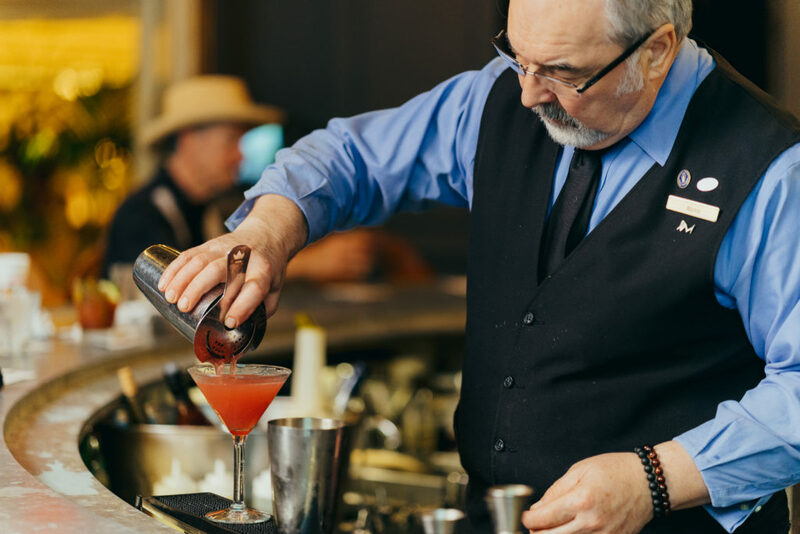 As the most recent creation made in the Carousel Bar & Lounge, the Fleur de Lis was created by bartender Parker Davis to embody the spirit of New Orleans. Made with Hendrick’s Gin, St. Germaine, Lemon Juice, Cucumber, Ginger Ale, and soda water, this delectable drink has a vibrant flavor profile that matches the atmosphere of the Crescent City. If these delicious drinks have made your mouth water, it might be time to come down the Carousel Bar & Lounge. 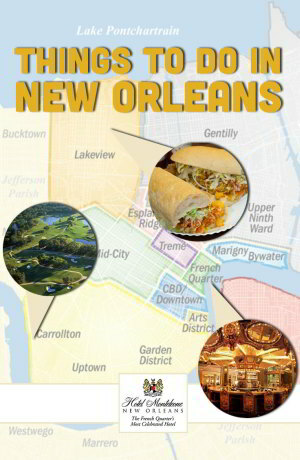 Take a spin, take some sips and enjoy the ambiance of a bar that has been a New Orleans institution for over 65 years.  If you really want to get into the spirit, book a room with us so you can hit the bar or make use of our many other luxury amenities whenever you please!